Our world today is more interconnected than ever. Global movement of individuals and complete ethnic or national groups is considered commonplace. Whether via urgent resettlement of refugees or the internally displaced, students with visas who choose to remain in their adopted country long after their studies are finished, or simply individuals seeking opportunity, cultures are constantly meeting - and sometimes clashing - in nearly every country across the globe. What does this mean for those in the medical profession today? Diseases do not respect borders, and intercultural communication has never been more important in the hospital than now. Medical professionals in every setting need to be prepared to encounter global health challenges. Those physicians who gain other modes of interaction and understanding will be well served in every setting. 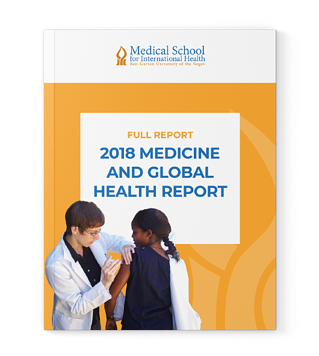 The purpose of this report is to provide an initial picture of global health principles in action for medical professionals at various stages of their careers - including aspiring doctors.